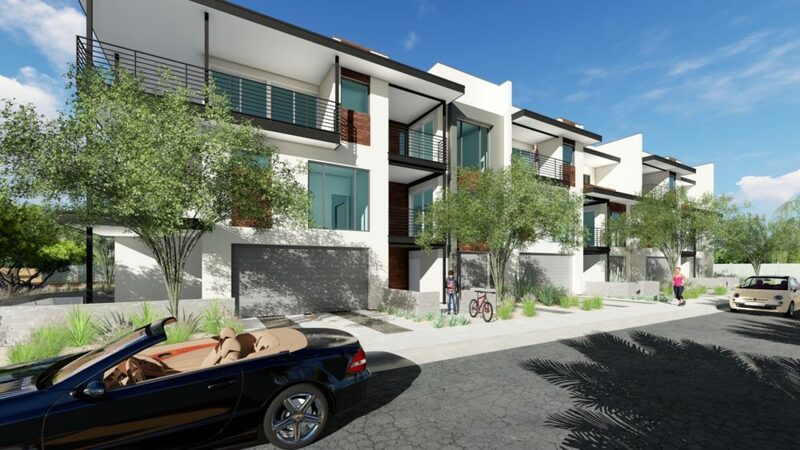 MZ2 is the second phase of the much-acclaimed MZ townhome project. 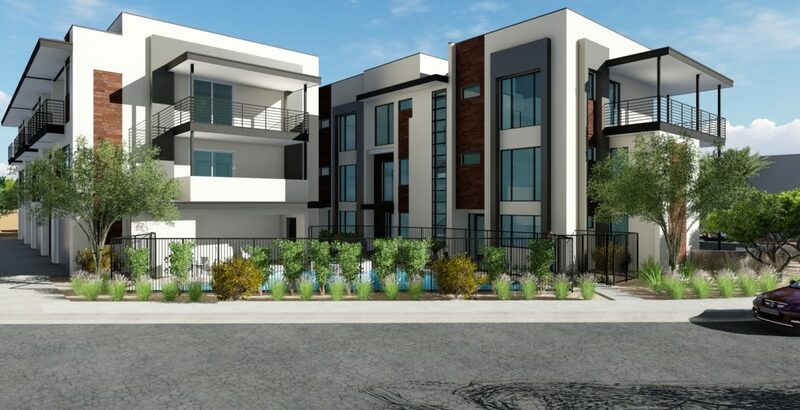 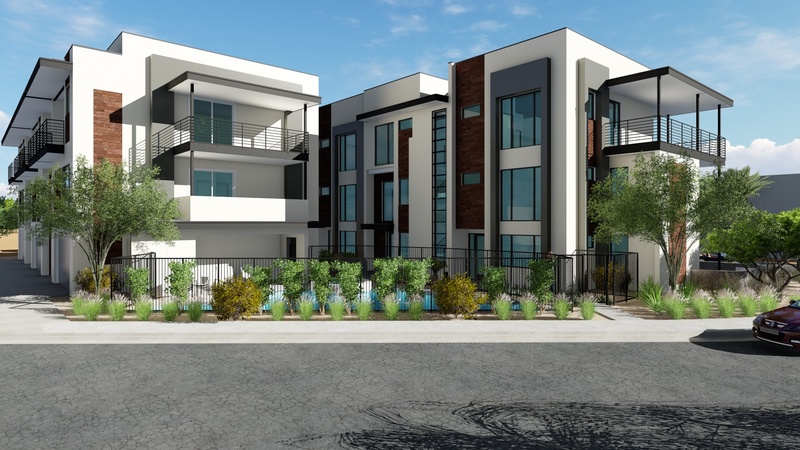 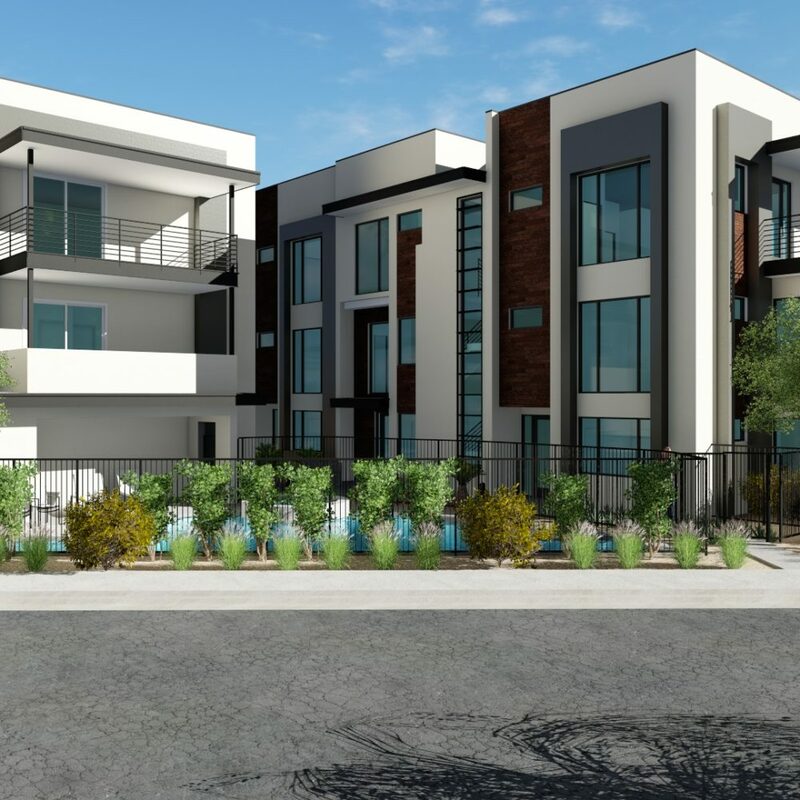 This 11-unit development has the same desirable Downtown Scottsdale location, contemporary design, and color scheme as the first phase of MZ. 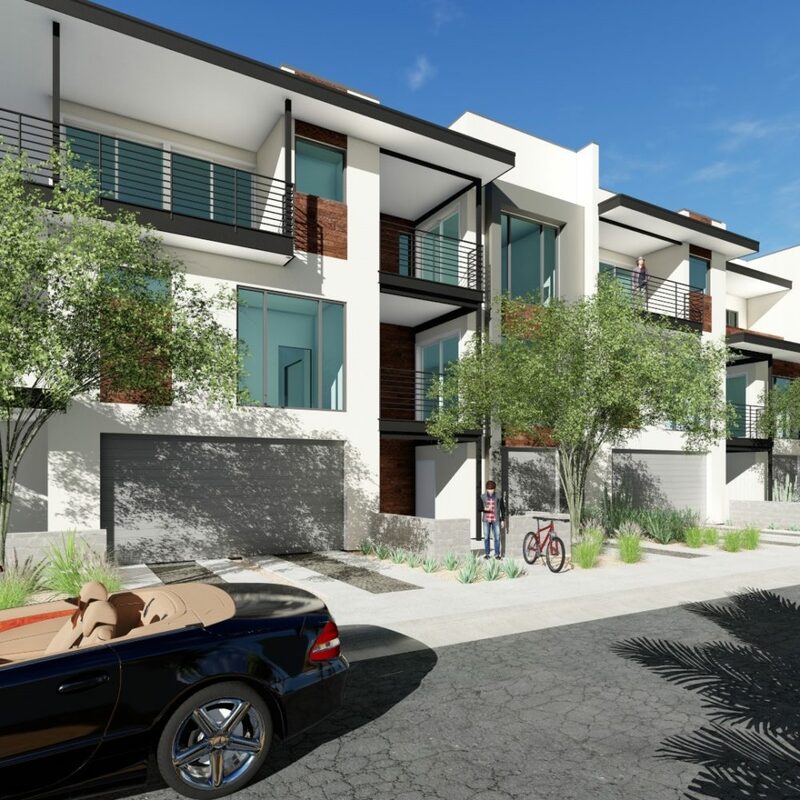 It also takes energy efficiency to the next level with new technology, more outdoor space and patios, and a community swimming pool. 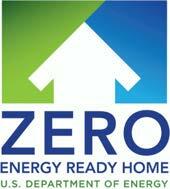 Each MZ2 unit is individually modeled to achieve a zero score on the HERS (Home Energy Rating System) rating scale — the best score possible — through the use of high-performance building materials; renewable energy sources like solar panels and battery storage; and green technologies such as Nest thermostats and smoke detectors, myQ automated garage door openers, and an Apple Home Automation package.